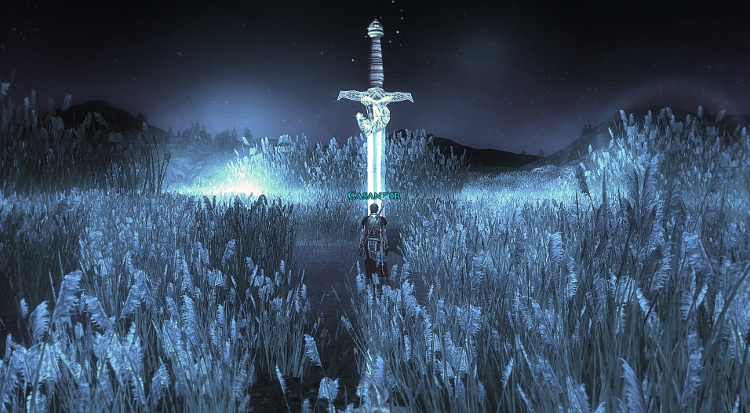 OOTTG (“Order of the Tower Guard”, “The Order”, “The Tower Guard”) is an organization established on October 18, 2007 to coordinate the in-game Kinship on the Landroval server of Lord of the Rings: Online. 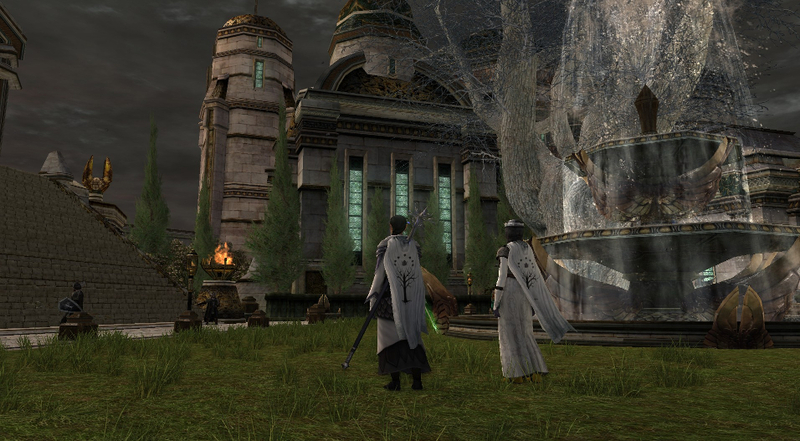 The scope of the Order reaches into areas beyond LOTRO, including “The Tower Guard” in Star Wars TOR. Members of the Order are old and new friends alike, who enjoy gaming in many areas. The Kinship has been continuously active since its inception! The OOTTG uses the LOTRO game, our website and forums, Teamspeak, IRC, Facebook, and a wiki to coordinate our activities, communications, and compositions. 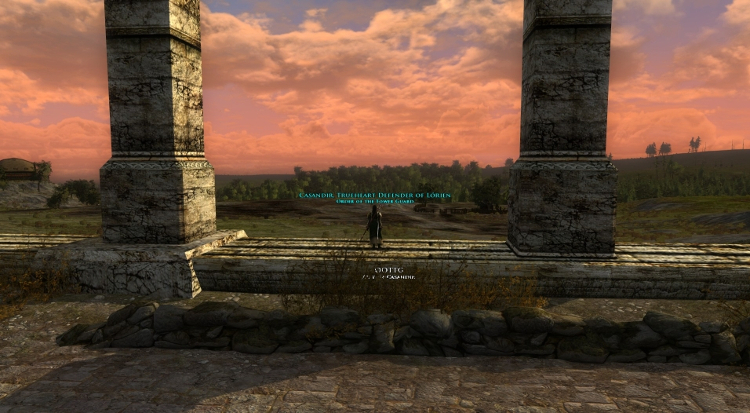 The OOTTG is one of Landroval’s oldest Kinships, with a loyal, cohesive member and leadership roster; Casandir has been Leader of the OOTTG since 2007. The Order is made-up of casual gamers, close friends, and silly ruffians, and hold fast to a inclusive culture of non-elitism. We succeed because we work together, allowing people to play at their own pace and in their own style. We have endured the changes to the game by virtue of our easy-going, good-times/good-people approach to Middle Earth and an internal-reference recruitment policy we have had since the Kinship’s creation. The Order has held a weekly Saturday-night Raid since our earliest days, with a regular, all-OOTTG roster; we have conducted well over 500 Kinship raids, with no sign of slowing down! Many members have a long-time interest in Tolkien’s works and context, and “lore-play” is a central activity. Members have the resource of a well-developed Kinship-lore with a sizeable body of contributed writings, an active, mature, and respectful member-body, and a well-tuned raiding corps that actively pursues the most challenging end-game content. Kinship-chat is OOC; members are held to the standard and expectations of the Order Charter. 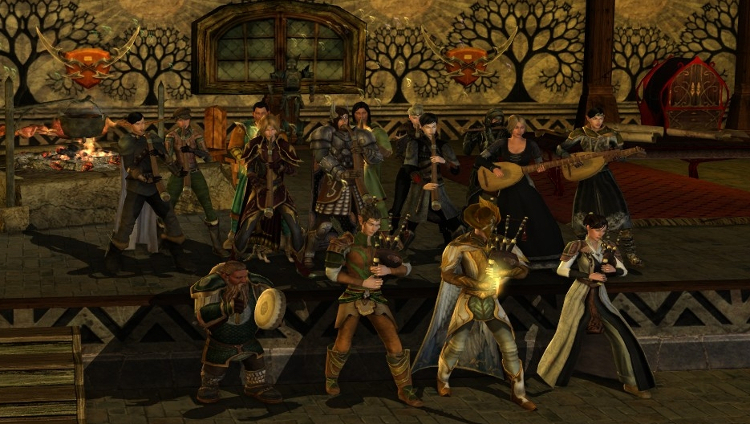 Our RP pursuits have included long-term, immersive-RP questing groups pursuing the core-story of the Order’s lore, a general Kinship-culture encouraging composition of story and song, Teamspeak-based Silmarillion reading-groups, among others nutsy activities. The Order is the mystical brotherhood of the Tower Guard at Minas Tirith. It was founded by Varaldatar (Casandir) in the second year of the Third Age at Minas Tirith in Gondor, as Isildur planted the Scion of Nimloth in the soils at the Fountain of Ecthelion. The Tower Guard, Gondor’s elite force which stands sentry at the Courtyard of the White Tree at Minas Tirith, follow the creed and Charter of the Order. The cross-section of Elven and Human culture is a central tenet of the Order’s mission. The preservation of Elven values into the 4th Age is a primary concern. The Order seeks to advance the cause that would ensure the vitality of the White Tree of Gondor; this is the moral calling and duty of the Order. The Order is motivated to do this because of the values that will be given life in Middle Earth by the continued vitality of the Tree. In short, if the Tree exists, the lands have a King, and if the lands have a King, the shadow is subdued, and The Good breathes in every living thing. The Order is called to spread The Good by its efforts to maintain the Scions of Telperion in the world. The Order’s primary project has been the Tower Guard at Minas Tirith, a regimen of initiates who stand guard at the Fountain of Ecthelion. The Order was founded in the second year of the Third Age, but the idea had been prototyped in Gondolin by agents of the Heren Ecthelion. The Heren, being primarily concerned with a project they had knowledge would have an eventual and definite conclusion (the conclusion of the Third Age of Middle Earth, and the planting of the final Scion with the return of the King), designed a project to perpetuate the values at the core of the Heren, beyond the terminus of the work of the Heren with the Scions. This scheme was realized with the creation of Glingal and Belthil by Turgon in the Beleriand city of Gondolin. As such, the Heren had always been intimately involved with imparting concern for the well-being of the Scions in the cultures of Middle Earth. With the fall of Numenor, the Heren initiated their second project to extend the values of the Heren beyond the work of the Scions. The Lorien elf and Heren epopt Casanwë (Varaldatar) was deployed to create the Order of the Tower Guard. The concept of the “Tower of Guard” is applicable in all Ages, and is at the kernel of the Order’s culture. Members of the Order conduct themselves with common sense, courtesy, and respect, representing the Kinship and the honour of past, present, and future Kinsmates in all they do; doing so honourably is the first priority at all times. The Order always comes before any individual, and we expect a deep loyalty from our Members. OOTTG expects all members to behave honourably, and with decency. Depending on the issue, failure to meet this condition will result in a three-strike warning process: culminating in dismissal from the Order. Order Leadership reserves the right to dismiss an individual without warning, and/or to remove forum posts and accounts. The Order of the Tower Guard is an oligarchy — Officers meet to make decisions on recruiting, promotions, demotions, and dismissals. Bearing A favourable impression in carriage, appearance, and personal conduct at all times. Courage A quality that recognizes fear of danger or criticism, but enables one to proceed in the face of it with calmness and firmness. Decisiveness Ability to make decisions promptly and to announce them in clear, forceful manner. Dependability Timeliness, and the certainty of performance of duty. Enthusiasm The display of sincere interest and exuberance in the performance of the task at hand. Honour Uprightness of character, dedication to uphold the honour of fellow Members and the Order’s Charter. Initiative Taking action in the absence of orders. Judgement The ability to weigh facts and possible courses of action in order to make sound decisions. Justice Giving reward and punishment according to the merits of the case in question. The ability to administer a system of rewards and punishments impartially and consistently. Knowledge Of science or art: the ability to share the range of one’s information, including professional knowledge and an understanding of fellow Members and Officers. Loyalty The quality of faithfulness to one’s seniors, subordinates, and peers. Tact The ability to deal with others without creating hostility. Unselfishness Avoidance of providing for one’s own comfort and personal advancement at the expense of others. The Order does not recruit openly; recruitment is generally by internal reference only. Recruits with no previous ties to the Order should have at least one level 50+ character. Recruits should have lore-compatible names. Recruits should do what they can to meet their new Kinsmates, participate in events, and become acclimated. Promotion of new Officers is considered and discussed among current Officers. Promotion to Membership is a process initiated by contact from the Personnel Officer, in which the Recruit will be held to demonstrate mastery or completion of a list of expectations. Be active in the Kinship for three weeks. Lead a fellowship with an officer at least once during initiation week. Complete our Kinship initiation rites, with an officer present. Demonstrate to the Leadership that they will live up to and uphold the honour of the Kinship and its Charter. Always represent the Order with excellence in all media, in-game and out. Adhere to, and aspire to embody, the Kinship Charter. Exhibit deep loyalty to Kinsmates and to the mission of the Order. Always work as a team, and be reliable to your Kinsmates. Be dedicated to advancing the cause and reputation of the Order in what time you have. Be decent and respectful to all other players. Adhere to the Turbine EULA. Keep disputes and drama out of the public space. Use the Kinship Teamspeak server for Order events. Express your concerns, participate in discussions, speak your mind! 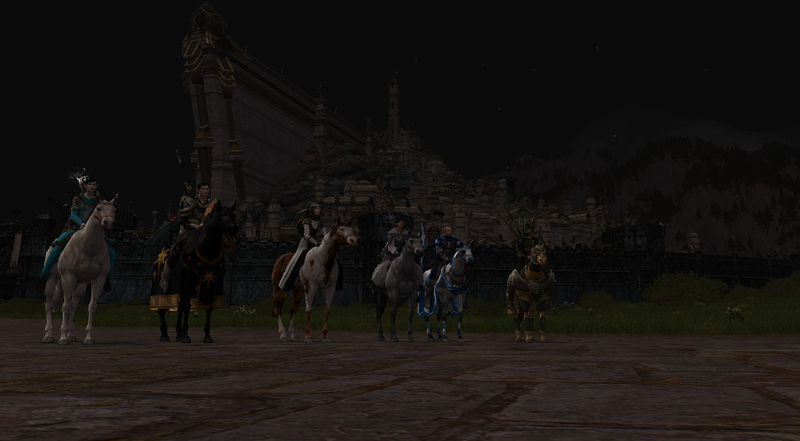 Be a part of the ongoing OOTTG Family, beyond LOTRO. Participate in the organization of Kinship events. Participate in initiation fellowships and conduct initiation rites. Post recruiting details for each person they recruit in the Officer’s forum. Represent and promote the honour of the Kinship as dedicated servants of its Members. Do not hold Officer positions in other large, active Kinships. The Order Leadership reserves the right to schedule, promote, and coordinate all “Official Kinship/Alliance Raids/Events”. These events are managed by the Order’s Raid Leader; Members wishing to schedule a raid or event are expected to discuss their plans with the Order’s Raid Leader prior to scheduling. While we highly encourage Members of the Order to keep their alternate characters within our ranks, we understand that this is not always possible. When Members have alternate characters in other kinships, they must be sure to inform an Officer. Officers of the Order may not hold officership in other large, active kinships without approval from Order Leadership. Access to the chests are open to the member rank; request temporary decoration access from an Officer. Demotion occurs after 100 days. Upon returning to the game with intent to be active again, restoration of original rank will be considered, but is usually re-instated right away. As a member, you should inform an officer if you plan to be inactive for an extended period of time, (more than two weeks). Names are otherwise not removed from the roster.